hey all youse Ugly bustards!!! I know its been a long hard (& wet) preseason, but the real things about to 'ckn-well start in a few wks!! The Maltshaker has the Blues as raging unbackable flag faves just like they were this time last year, while the Swans are looking good for the spoon. They should have the GF in March Demetriou! Anyway, time to join Uglybustards for season 2013 if you're keen. For the first time in Uglybustards, the first 7 rounds are blind (like me most of the time) as I'll be on a high altitude training program along with some goats in the mountains of Northern Greece, and hope to bring back a few recruits with me. Prizes for 2013 Still trying to get Broo on board for this year, stay tuned. 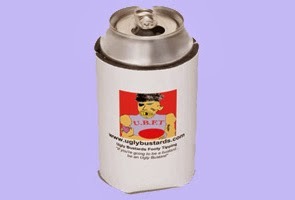 Usual deal for prize pool payment, email uglybustard@uglybustards.com for details. Except this year you have an extra month, until May 31st, to pay your $20.